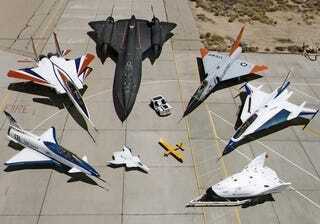 This shot of a slew of U.S. military aircraft is like a ten-year-old Jalopnik Fantasy Garage of airplanes. But, can you ID every vehicle in this picture? Yes, that includes the tug in the middle.